The Commission on a Way Forward was tasked by the Council of Bishops, with approval from the 2016 session of General Conference, to completely examine, and possibly revise, every paragraph of the Book of Discipline concerning human sexuality. As part of this, they explore options that help to maintain and strengthen the unity of the church. General Conference sessions are held every four years, which is next scheduled for May 5-15, 2020; however, the work of the Commission on the Way Forward is building to the Special Session of General Conference on February 23-26, 2019. During the special session, General Conference will receive and take action on the commission's report. The Council of Bishops called all in the United Methodist connection to join them in a three-part prayer initiative in preparation for the special session. Phase 3 launched on June 3, 2018, and invites all United Methodists to engage in a weekly Wesleyan 24-hour fast, pray daily for the church's mission and way forward from 2:23 to 2:26 (which represent the dates of the special session), and pray using a weekly calendar from UMCPrays.org through the end of February 2019. View details about Phase 3. Read a summary of the proposals for General Conference here. During the 2018 annual conference session, Bishop Ruben Saenz Jr. provided an overview of the history of The United Methodist Church's struggles over human sexuality and introduced a video featuring the Rev. Tom Berlin, a pastor in the Virginia Conference and a member of the Commission on a Way Forward. Download Bishop Saenz's PowerPoint presentation. A more detailed presentation was made during a listening session the afternoon of June 13. Download the listening session presentation, complete with notes shared by the bishop. 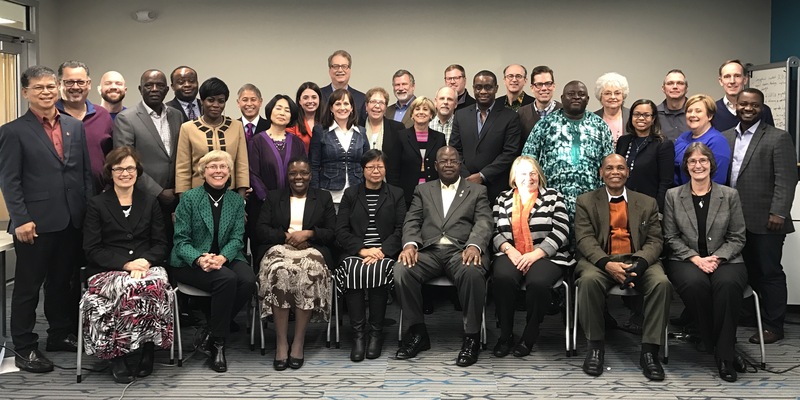 Members of the Commission on a Way Forward are pictured during their first meeting held in January, 2017. Visit www.umc.org/who-we-are/commission-on-a-way-forward-members for full roster.